If only all DIY projects were this easy! 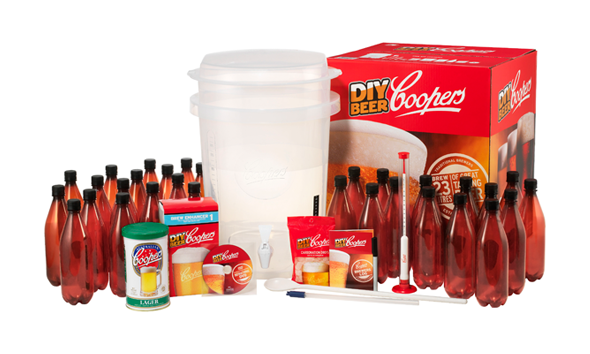 With the Coopers DIY Beer Kit, create your very own hand made beer in 4 simple steps - Mix, Brew, Bottle & Enjoy. How hard is it to make my own beer? Well if you can use a can opener you can brew a beer! Yes it's that easy. You can make your own great tasting beer in 4 simple steps MIX, BREW, BOTTLE & ENJOY! Watch the DIY Brewing 101 video to see how easy it is. It takes about 20 mins to MIX the ingredients. Leave to BREW for approx 7 days. Then it's time to BOTTLE, which will take you about 40 mins. Once it's been in the bottle for 2 weeks, chill them off and ENJOY your own hand made beer! After your initial purchase of the kit, each brew will cost you approx $1.30 per bottle (740ml). That's right, not only will you be making your own great tasting beer, you'll be saving money as well! All the brewing tools you need in the palm of your hand! Available world wide and free to download. 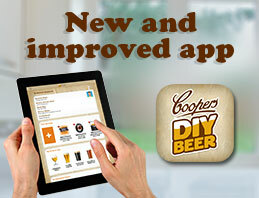 Start recording your brews, managing your inventory, downloading new recipes and more! Easy to make and even easier to drink. 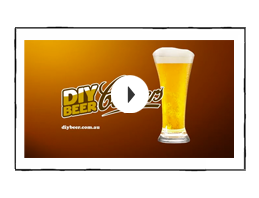 Just follow the simple instructions on this video and you'll be making great tasting beer in no time. 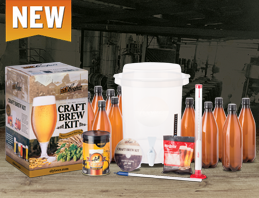 Everything you need to make 8.5 litres of quality craft beer.